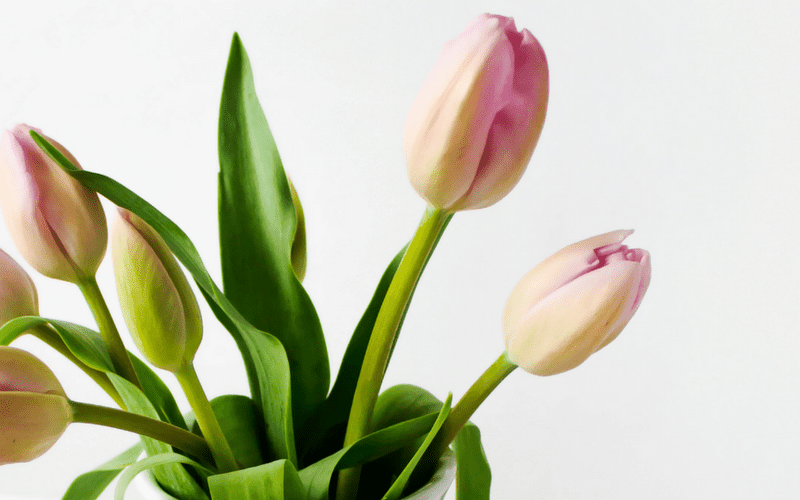 Make gratitude a part of your everyday life with a few simple steps. By the end of this 30-day gratitude challenge, you’ll have a solid gratitude habit that infuses each day with positivity and happiness. Hi, everyone! 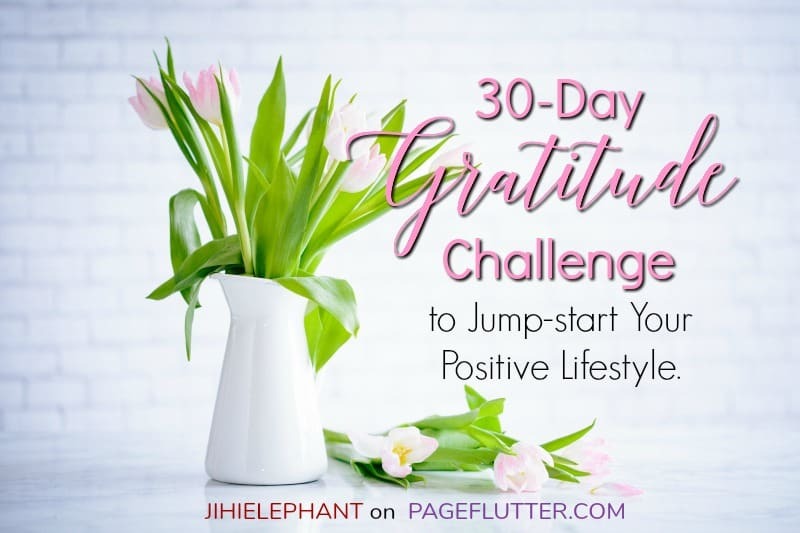 Elizabeth here from Jihi Elephant, and I have a brand new gratitude challenge for you! Gratitude is all about giving thanks for people, services, products, life, or yourself. Not only is this a great way to incorporate mindfulness into your routine, but it also acts as a form of self-care. Show those in your life—and yourself—that you are thankful for them and appreciate them with this 30-day gratitude challenge. You are sure to realize all the positive influence you have in your life! How Can I Be More Grateful? 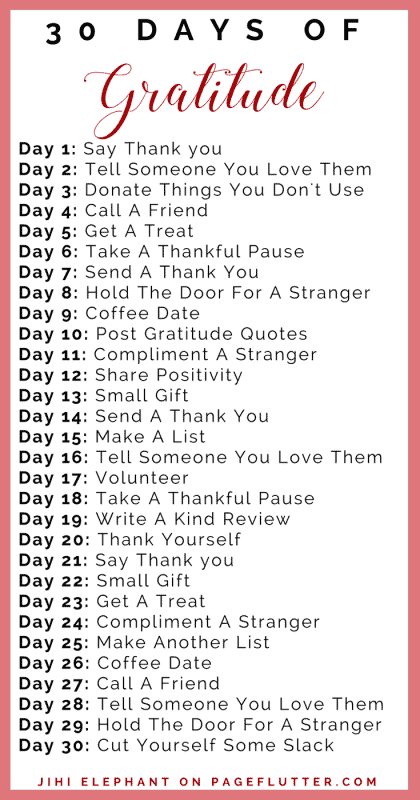 For this 30-day gratitude challenge, the instructions are extremely simple. Do something for gratitude each day. 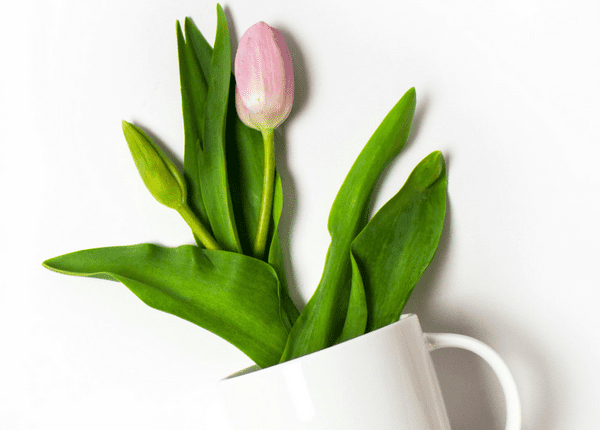 You can pick your own acts of gratitude using this list of gratitude ideas, or you can follow the pre-made challenge I have created for you below! Show those in your life, and yourself, how much you appreciate them through acts of gratitude. Let’s start simply. For this first day, just say thank you. Intentionally find someone you care for (an underappreciated employee, a friend, even a stranger) and tell them “Thank you!” This might sound particularly intimidating, but give it a shot anyway! Whether it’s a parent, child, or close friend, tell them you love and care about them. We so often forget to tell those we love that we do love them. It’s nice to be reminded that someone loves you! Gratitude is sometimes expressed in kindness. Do a quick purge of your closets and cupboards and take the items you haven’t touched in over 6 months to a local homeless shelter. This expresses your gratitude for the things you have by sharing what you have with those who have less. It doesn’t seem like gratitude at face value, but it really is good for all parties involved! Give a friend or family member a call. Tell them you care about them and just wanted to say hi, or spend some time catching up with them. They are sure to appreciate this! Express your thanks to yourself by getting a special treat! For me this would be a new pen. For others, it might be ice cream or t-shirt! Give yourself a little treat because you’ve worked hard for it. Take a moment before every meal you eat today to be thankful for it, even if you aren’t excited to eat it. That food is helping to make your life possible, so take a moment recognize that. Get yourself some thank you cards (or make your own) and send them out to loved ones—just for the heck of it! Thank them for their positive influence in your life. Who doesn’t love getting little thank you notes in the mail? This can’t go wrong! If you find yourself around strangers today, be sure to hold the door for them. Whether they are coming up right behind you, coming in when you are leaving, or a little bit behind you hold the door for them. Treat a friend, co-worker, or family member to coffee. A cup of coffee isn’t all that expensive, and it’s the least you can do for someone you care about. Also, this gives you an excuse to tell them you care and catch up with them one-on-one. Is no one local available? 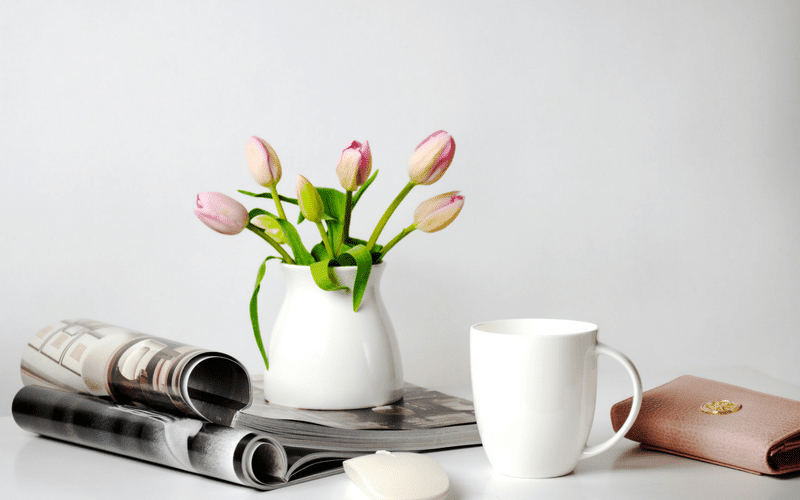 Try a virtual coffee date! What are your favorite quotes for gratitude and encouragement? Post those around your home, on your mirrors, or in your planner. Put them places you will see them. These quotes are little reminders to be grateful for those around you and yourself! This might feel strange at first, but once you become used to doing it, it can be nice. You can’t possibly know what is going on in a stranger’s life. The compliment might be the only good thing in their day, or you might make a new friend! Step out of your comfort zone and give it a shot! We live in a world of social media and online forums. Take a moment to leave a positive or encouraging comment on someone’s post. Social media is so full of negativity it can be hard to find encouragement. Help spread some today! Buy a small gift (a couple dollars’ worth) for someone you appreciate. This is sure to make them feel valued, and it won’t hurt your budget. This is a repeat from Day 7, but it’s nice to sit down weekly to send a card. Get yourself or make yourself some thank you cards and send them out to loved ones—just for the heck of it! Thank them for their positive influence in your life. Who doesn’t love getting little thank you notes in the mail? This can’t go wrong! Today, make a list of all the good qualities you have. This list doesn’t need to be extensive. Star with 5 to 10 items. Focusing on the positive qualities you have instead of the negative helps you to really be thankful for all you have and all you are. Whether it’s a parent, child, or close friend, tell them you love and care about them. We so often forget to tell those we love that we do love them, it’s nice to be reminded that someone loves you. Choose someone different than you did on Day 2. Volunteer a little bit of your time for a cause. It can be anything from your kid’s school bake sale, to the local animal shelter, or soup kitchen. Whatever you choose, spend some time giving back to your community. This will surely make the work of a difference for someone. Take a moment before every meal you eat today to be thankful for it, even if you aren’t excited to eat it. That food is helping to make your life possible, take a moment recognize that. Is there a local restaurant or small online shop you have recently purchased a good or service from? Show them some love by leaving a positive review on their website or Facebook! This means the world to small businesses! Stand in front of the mirror, and tell yourself “Thank you” out loud. Do this at least once! Psychology Today wrote an article talking about the importance of studying aloud for memory. This can be applied to gratitude as well. When you speak positively to yourself out loud, you are more likely to internalize that positivity and feel better about yourself! Intentionally find someone you care for, an underappreciated employee, even a stranger, and tell them “Thank you!” You’re getting in the habit of this by now, so it’s probably less intimidating than it was earlier in the month! Take a couple of dollars and buy a small gift for someone you appreciate. This is sure to make them feel valued, and it won’t hurt your budget. Express your thanks to yourself by getting a special treat! For me this would be a new pen, but for some, it might be ice cream or t-shirt! Give yourself a little treat because you’ve worked hard for it. This might feel strange at first, but once you become used to doing it, it can be really nice. You can’t possibly know what is going on in a stranger’s life. The compliment might be the only good thing in their day, or you might make a new friend! Step out of your comfort zone and give it a shot! This time, instead of making a list of the positive qualities you hold, list the things, people, and characteristics you are grateful for. If you really embrace this list, it is sure to be a very long list. I strongly encourage that you add to this list in small increments. Each day, add only a few items. You will be amazed how many things you have to be grateful for that you take for granted. I have done this in the form of art, and it is one of the best decisions I have ever made. Whether it’s a parent, child, or close friend, tell them you love and care about them. We so often forget to tell those we love that we do love them, it’s nice to be reminded that someone loves you. If you find yourself around strangers today, be sure to hold the door for them. Whether they are coming up right behind you, coming in when you are leaving, or a little bit behind you try holding the door for them. 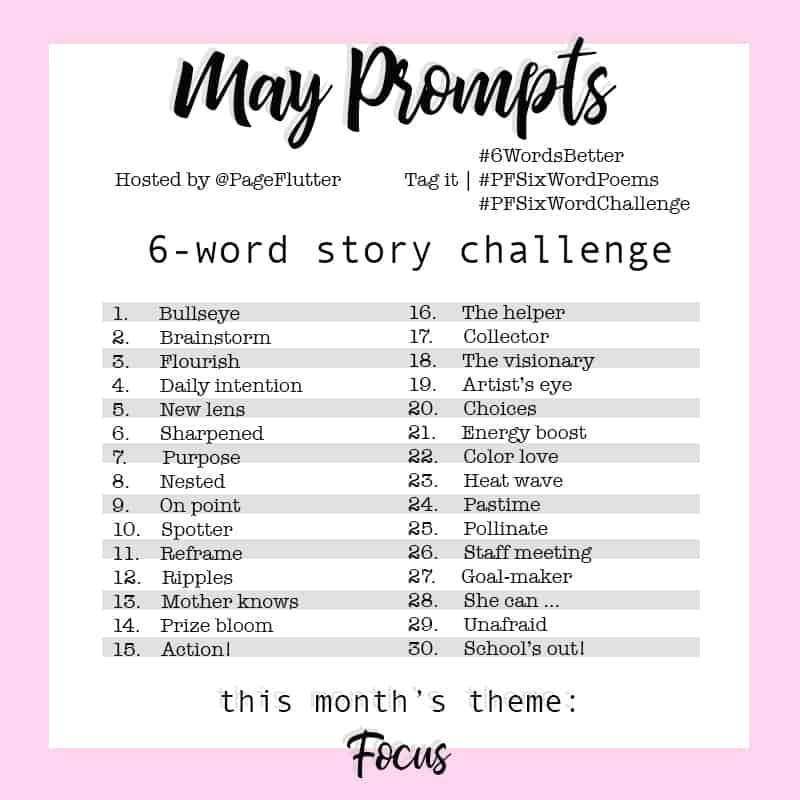 Today is the last day of the gratitude challenge! Congratulations for making it this far, gratitude is not always easy to do ,and you ought to acknowledge that what you have done is a great feat! So today, I recommend taking the day off. Call in sick to work, get a babysitter, sit on the couch in your pajamas and eat your favorite sweet treat. Take a mental health day to relax or do something for yourself you have wanted to for a while but haven’t made time for. Today is YOUR day, enjoy it and cut yourself some slack. You deserve it. Now that you’ve tried out a wide array of gratitude practices, which ones stand out as your favorites? How have you made gratitude a daily practice? Comment below with your tips to make it a lifelong habit! Elizabeth is a 22-year-old blogger and full-time student. She has a B.A. in psychology and is currently working towards a master’s degree in clinical mental health counseling. She's originally from Port Huron, Michigan, but now lives in North Carolina. 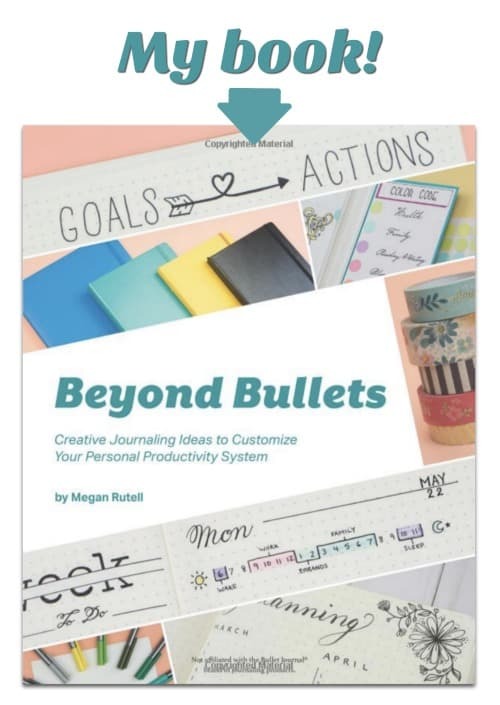 When she's not writing blog posts or doing homework, she enjoys practicing yoga in her living room, walking around in the sun, painting, or watching Disney movies. I love your 30-day challenges, Elizabeth. Starting this one today! How exciting! How has the challenge been?